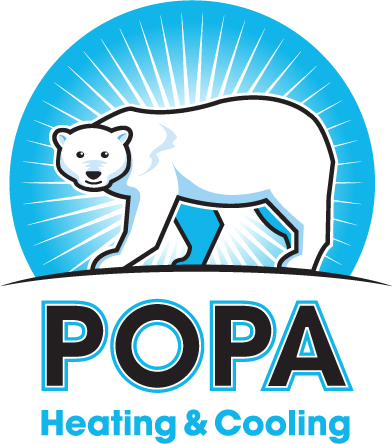 We at Popa Heating & Cooling take pride in a job well done — each and every time. Our professional technicians tackle installations and repairs of furnaces, air conditioners, hot water heaters, boilers and humidifiers with confidence and know-how for service you can trust. We’re proud that, as a woman-owned business, we understand how quality products and services can be delivered with a sincere interest in how people will live with our product. We provide quality service at fair prices for homes from 1,200–1,400 sq.ft. to those as large as 10,000 sq.ft. In order to assure the job is done right, we provide the highest quality of products installed by the most-qualified technicians. We perform a superior system start up to ensure maximum energy savings and long-term comfort. Meeting manufacturer’s recommendations, building code requirements and federal laws are only our minimum standards. We send a qualified technician to thoroughly inspect your system and give you an up-front firm price to repair it. Our company does not charge by the hour; we charge by the repair. See below how you can save even more money by signing up for our Ultimate Service Agreement. The Comfort Advisor app makes it easier than ever for homeowners to understand the importance of using Aprilaire accessories to control their indoor air quality. HVAC Fall and Spring Maintenance for $169! You get all the benefits listed below for the incredible price of $169 per year. This includes two visits—one in Fall and one in Spring. Whether it's commercial or residential installation, repair, an HVAC emergency, or seasonal maintenance through our Ultimate Service Agreement, you can count on Popa HVAC. We service and sell all major brands including our top sellers—Trane, Daikin, and Aprilaire.